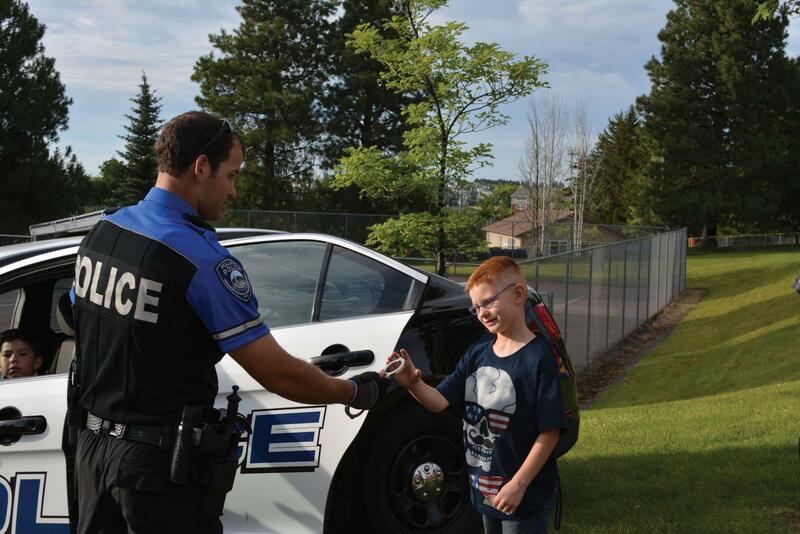 Officer Alex Gordon, seen here showing a child handcuffs at a community event, said doing bike patrols allows officers to more closely monitor situations than when they use a squad car. 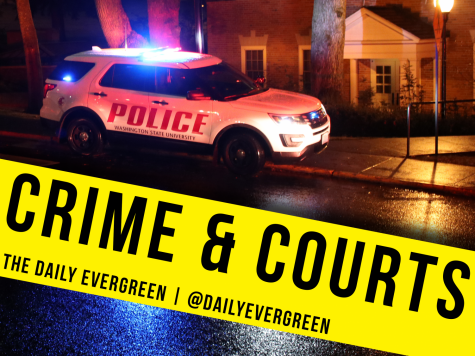 As the weather gets warmer and students begin to flood into town, Pullman Police Department bicycle patrol officers will be covering the College Hill area more often. Bicycles allow officers to maneuver through crowded and hidden places, but they also help law enforcement to connect with the community. 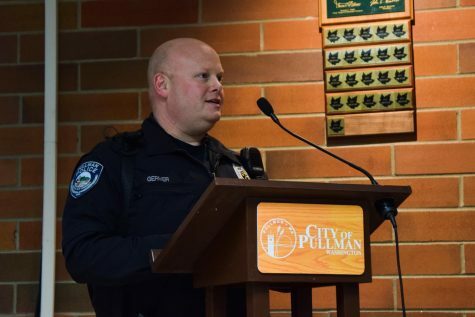 Pullman PD Cmdr. Chris Tennant said bicycle patrol opens officers up to conversations and helps build rapport between Pullman residents and police. While being on a bike makes officers approachable, it also allows them to be more covert, Gordon said. On bikes, officers have access to more of their senses. Gordon said a police car’s running engine and radio might block important sounds. Gordon and other bicycle officers are able to stop cars using visual and audio methods. Even though he may not have the help of a motor, he said drive-offs don’t happen often. On College Hill, officers are also on the lookout for people needing medical assistance, Gordon said. Because bikes provide many benefits to officers, Pullman PD trains every officer in bicycle patrol through a long course that takes several days to complete. “People think, ‘I learned how to ride a bike when I was eight years old,’ but riding a bike as a police officer is totally different,” Tennant said. Officers must learn how to stop a car, interact with a crowd and go up and down stairs and curbs, he said. Despite thorough training, the Pullman PD does not have a dedicated bike unit or full-time bicycle officer. This is due to bicycle patrol’s limitations and a lack of need. In Pullman’s environment, bicycles can be a hassle. Tennant said Pullman’s climate makes bicycle patrol nearly impossible for half of the year, but speed is also an issue. To counter the issue of response time, bicycle patrol officers generally stay in one highly concentrated area like College Hill. 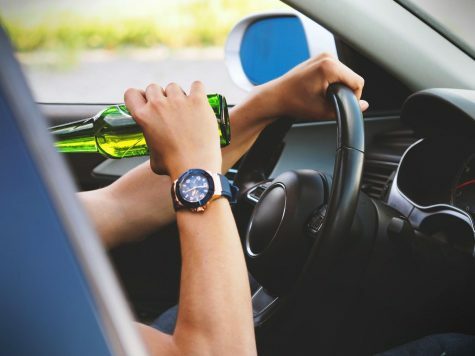 Although some officers prefer to cover normal traffic on bikes, this is only possible when there is enough coverage in vehicles, Gordon said. 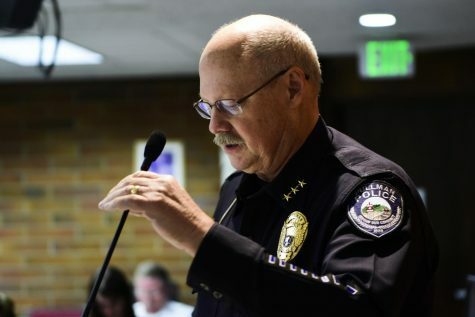 Until later this summer when students crowd College Hill, officers will be on bicycles during events like Fourth of July at Sunnyside Park or the Lentil Festival in August. With more officers, Pullman PD could potentially use bikes more often. 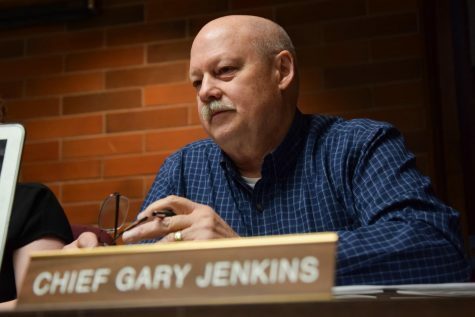 “In 2018, places are hurting for police officers, so there’s a great opportunity for people who want to be involved in law enforcement.” Gordon said. Gordon said he loves his job, and bicycle patrol adds to the fun.